We have a specialist group operating in the areas of shutdown services, Rebuilding, Re conditioning, NDT, Design & Engineering, manufacture, Installation & Commissioning of Turnkey Plants / systems, catering to Industries such as Refineries, Petrochemicals, Fertilizers, Chemicals and light Engineering. 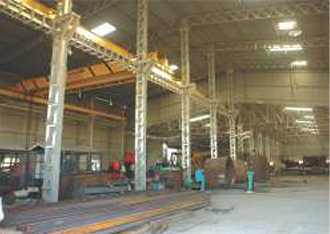 Our Plant is well equipped with latest machinery for welding jobs and fabrication of sophisticated equipments , as per ASME Sec VIII, DIV I and other Industry Norms and standards. We are an ISO 9001 – 2008 accredited company for our Technical services. Our welders are qualified to accepted codes such as ASME IX, ASME B31.3, AWS DI.1 & IBR. All welding is carried out to qualified welding procedure in fabrication drawings / weld / test plans. These documents are prepared by qualified engineers to Project Specifications & work instructions/ Testing requirements. Welding is carried out by qualified welders. 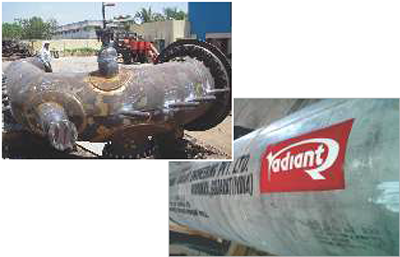 Records are maintained of all weld procedures and traceability of weld joints carried out.